(Helena, Mont. 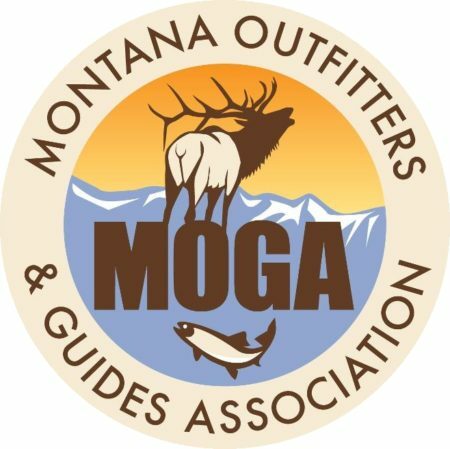 )—Mac Minard, Executive Director of Montana Outfitters and Guides Association (MOGA), and chairman of Professional Outfitters and Guides of America (POGA), have been invited to present a paper entitled Economic Value of Outfitter Donated Trips at the 14th Annual National Assembly of Sportsmen’s Caucuses – Legislators Summit being held in Traverse City, Michigan. The theme of this year’s summit is Celebrating the American System of Conservation Funding: 80 Years of Success. “This is a terrific honor and a unique opportunity to share the role Outfitters play in funding wildlife and fisheries conservation in the United States. I doubt most people know just how much popular conservation organizations like Rocky Mountain Elk Foundation and Safari Club International depend on outfitter donations to underwrite their important activities. This forum, because of the theme, and the presence of many State Legislators, provides an excellent opportunity to share that information,” said Minard. The paper Minard will present summarizes results of a recent study that demonstrates Outfitters, as a group, are the largest donor block to Conservation organizations in the nation. Results from an eight-state survey of 4,000 Outfitter businesses showed that in 2016, 90% of Outfitter businesses surveyed donated hunting or fishing trips to 44 Conservation organizations and the retail value of those donations exceeded $25 million dollars US. The National Assembly of Sportsmen’s Caucuses (NASC) serves as the single source of information on a broad number of sportsmen’s issues for the 48 state legislative sportsmen’s caucuses. The NASC also serves as the unifying entity for these caucuses which allows for interaction and idea exchange among state legislators. Additionally, NASC functions as a liaison between the state caucuses, governor’s offices, and numerous industry representatives and corporate partners by facilitating their interaction and by providing forums for information and idea exchange. Minard will be presenting on behalf of the Professional Outfitters and Guides of America.